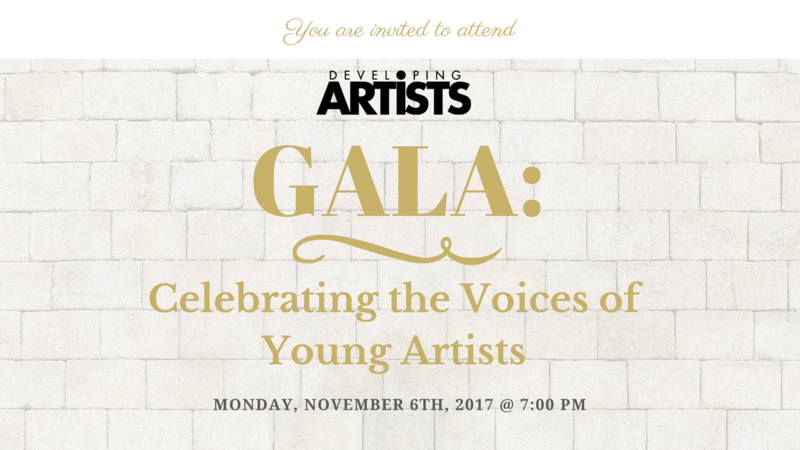 You are invited to DA's Gala 2017! Become a part of Developing Artists’ family with food, drink, and a chance to mingle with members of our board like Stephen Adly Guirgis (Pulitzer Prize-winning playwright), David Zayas (Gotham, Dexter), Ana Ortiz (Devious Maids, Ugly Betty), and a host of our celebrity friends like Raul Castillo (Looking, Riveradale), Yolanda Ross (The Get Down, Whitney), Chris Chalk (Gotham, 12 Years a Slave) just to name a few. Star-studded guest artists will perform various works including songs, monologues, and spoken word written by young artists who are currently involved in Developing Artists arts education program. Edie Falco will also present our first annual Kevin Geer Scholarship Award.